TEHRAN, Nov. 1 (Mehr News Agency) - General Inspection Organization of Iran has cast doubts on the privatization of the Telecommunications Company of Iran (TCI), saying some uncertainties exist in the deal. The GIO has prepared a report on the doubtful points and submitted to related bodies in the Article 44 Parliamentary Committee for further investigation, according to the Mehr News Agency. Based upon Iran''s Constitution, the GIO is in-charge for regular controlling and supervising executive bodies, military and disciplinary forces, state-run institutions and companies, municipalities and their subsidiaries, public notary chambers, foundations of public utility, revolutionary organs, and institutions whose financial resources totally or partially belong to the government. Three Iranian firms, part of a consortium named Etemad Mobin Development, bought 50 percent plus one share of Telecommunication Company of Iran for 78.191 trillion Iranian rials (US$7.8 billion) on September 20, 2009. The importance of this deal is that TCI has monopoly over Iran''s fixed line infrastructure, Iran''s largest cellular operator (MCI), and Iran''s major Internet service provider and data communication operator (DCI). Septermber 29, 2009 - Last week, General Mohammad Ali Jafari, chief of the Islamic Passdaran Revolutionary Guards Corps (IRGC) noted that the IRGC does not face "many competitors or troublemakers" against its economic activities, adding that "the IRGC has never been rogue in entering an area not related to its revolutionary duties." Yesterday, Iran's news agencies reported that the IRGC had purchased a 51 percent share in the Iranian Telecommunications Company. 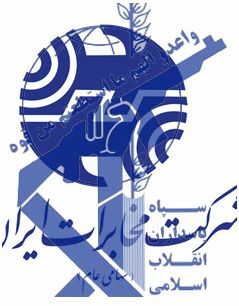 According to these news agencies, the Etemad-e Mobin consortium, affiliated with the IRGC, defeated the bid of its competitor Mehr-e Eghtesad-e Iranian, affiliated with the Basij, and purchased 50 percent plus one share of the Iranian Telecommunications Company in less than a half hour in what amounted to be largest deal ever in the Iranian stock market.